Pretty and polished, this supple shift boasts perfectly puffed shoulders for added charm. 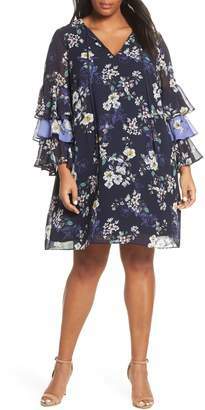 Style Name:Vince Camuto Puff Shoulder Shift Dress (Plus Size). Style Number: 5742539. Available in stores.